Disclaimer: Binary options, Forex, and Cryptocurrency trading can generate significant benefits but also involves a high level of risk. To emphasize, you stand to loss a part or all of your capital when investing with these types of high-risk financial instruments. 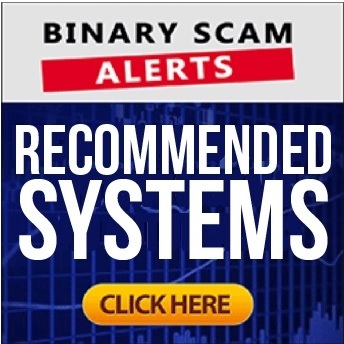 Binary Scam Alerts always advises it members and subscribers to read our terms & conditions and disclaimer sections of the site before risking your capital. We also advise all our customers to be aware of their individual capital gain tax liability in their country of residence. Or for that matter all forms of taxation related to money generated from offshore trading terminals and wired to individual or corporate bank accounts. Notice for US residents: Most Binary Options, Forex, and Cryptocurrency trading Companies are unregulated within the United States. These companies are not in any way audited, related to or affiliated with any of the regulatory bodies such as the National Futures Association (NFA), Securities and Exchange Commission (SEC), Commodity Futures Trading Commission (CFTC), or FINRA which is the Financial Industry Regulatory Authority. Risk Disclosure: BinaryScamAlerts.com does not accept any form of liability for losses or damages incurred as a result of reliance on the information or recommendations presented within this website; this includes (but not restricted to) any form of education material, data analysis, or price quotes and charts. Again, we must stress that it is your responsibility to make yourself of the risks associated with trading in the financial markets. First, we urge you to never invest or risk more money than you can afford to lose. The risks involved in online trading are significantly high and at times considered not be suitable for all investors. BinaryScamAlerts.com doesn’t accept responsibility for any trading losses you might incur as a result of utilizing the data or any other information hosted on this site, our related websites, Facebook, Pinterest, Twitter, or our YouTube channel. The data and quotes contained in this website are not provided by trading exchanges but rather by market makers. So exchange rates differ and may not be accurate to real time trading prices. They are supplied as a basic “getting started” guide to online trading rather than for actual trading purposes. FTC Required Affiliate Disclosure: BinaryScamAlerts.com is a professional review site which reserves the right to receive compensation from companies whose products we review. We examine all our products extensively and provide high marks to only the systems we believe to be the very best. We are independently owned and the opinions expressed here are our own and do not constitute a base for any form of legal claims. BinaryScamAlerts.com may collect personal identification information from users in a variety of ways, including (but not limited to) when users visit our site, subscribe to receive notifications from the site, subscribe to our newsletter, respond to various survey, fill out forms, and in connection with other activities, services, features or resources we make available on our website. Users may be asked for, as appropriate, name, email address. Contrarily, users may visit our Site anonymously. We reserve the right to collect personal identification information from users only if they voluntarily submit such information to us. Users can always refuse to provide personal or private identification information, except that it may prevent them from engaging in certain site related activities. We reserve the right to collect non-personal identification information about Users whenever they interact with our Site. Non-personal identification information may include the browser name, the type of computer and technical information about users means of connection to our site, such as the operating system and the Internet service providers utilized and other similar information. This information may or may not be collected by third party systems.